Shoe Show, Inc. is a chain of retail stores specializing in shoes, handbags, and accessories for men, women, and children. The corporation owns Shoe Show, Shoe Dept., and Burlington Shoes. The company has brick and mortar stores in addition to a website for retail sales, but it does not offer a Shoe Show application at its website. Robert B. Tucker founded the privately owned company in 1960, in Kannapolis, North Carolina. In the years since, the company has grown with its own stores and its acquisitions, including Burlington, Shoebilee!, and Altier Shoes. The business now owns more than 1150 stores in 42 states, under its various names. The stores have a standard design that they follow, including a children’s play area to make shopping easier for parents. The stock varies from store to store in order to accommodate the taste of the neighborhood. The stores are linked with vendors and the company’s distribution center through a computer system. They carry many well-known brands, such as Nine West, Rockport, and Converse. The corporation supports many local charitable organizations, including Community Free Clinic, Salvation Army, Cabarrus Meals on Wheels, Gardner-Webb University, Cooperative Christian Ministries, and more. The company recently installed a solar energy roofing system to its Florence Street warehouse to reduce energy used to cool the building. Shoe Show careers are not posted at the website. The corporation operates its headquarters, its distribution center, and more than 1000 stores. Job opportunities in the corporate offices exist in Human Resources, Marketing, Finance, Customer Service, Merchandising, IT, Legal, and more. The distribution center needs Stockers, Truck Drivers, and Managers. If you are interested in working at the corporate offices or the distribution center, you can contact them via email at their website. Jobs in the stores are not posted at the website, either. There are numerous openings for Sales Associates, Keyholders, Retail Managers, and District Managers. You won’t be able to download application form. To find these Shoe Show jobs, use the link to their website, and look up locations for the individual stores. You will need to contact the stores for a direct application. How old do you have to be to work at Shoe Show? You must be 16 to work at Shoe Show. Many careers with the company require a high school diploma or college degree, and relevant experience. Be sure to ask about qualifications for any position you seek when you contact the business. The company provides management and full-time employees with a competitive benefits package that includes health insurance, 401(k), life insurance, dental coverage, disability pay, and employee discounts. Store hours vary by location. Typical store hours are Monday through Saturday 10:00 AM to 9:00 PM, and Sunday 12:00 PM to 5:00 PM. Sales Associate – As a Sales Associate, you would greet customers and assist them in finding products and sizes. You would stock the shelves from back stock, and reshelf and straighten items that customers left out. You would also take payments at the cash register. This is an entry-level position that starts at minimum wage. Keyholder – The Keyholder follows the Retail Manager’s lead and makes sure the store is being run according to the company’s policies, and provides excellent customer service. Experience is preferred but not necessary. Keyholders need to be available to work the hours that the stores are open, including evenings and week-ends. Pay starts at or a little above minimum wage. Retail Manager – As a Retail Manager, you would track sales and inventory, order stock from the distribution center, and keep the store running to company policies. You would also assist customers, and handle any customer complaints. You would be expected to be available to work any of the store’s hours. Pay starts around $8.00 per hour, but can be several dollars more. District Manager – The District Manager travels to a set number of stores in a district and makes sure they are all being run according to company policies. Management experience in multi-unit business is a requirement. Salary for this position is negotiable during the hiring process. Pay is supplemented with bonuses. How did you hear about Shoe Show jobs? Since the company doesn’t post its job openings on the website, your interviewer may want to know how you knew they were hiring. Let your interviewer know that you are familiar with the company and what they do. You can learn about the company and its products by using the links at the bottom. Can you name some of the brands we carry? The retailer carries some top brands. Make sure you can name a few when you are asked this question. Your interviewer wants to see if you are familiar with the stores. You will not be able to get a Shoe Show application at the website. What would you do if a customer tried to return worn shoes? Once you are hired, learning company policies for handling cases like that will be one of your responsibilities. Your answer to this question will show your interviewer what level of service you are likely to provide to customers. Tell me about your favorite pair of shoes. That is what this business is about. Show your interviewer that you are a good fit for the company with your enthusiasm for the products it sells. There is no printable application for Shoe Show available at the website for the company. How do you feel about comfortable shoes? While your taste in footwear can demonstrate your enthusiasm for the product, it might not be best to wear it to while you are working. Employment with this company can mean long hours on your feet, and attractive but stylish footwear would be a good choice for working in the retail industry. This retailer will be looking for polished, professional staff for its stores. Make sure that you understand the job description of the position you want, and that you are prepared for your interview. You will not be able to apply for Shoe Show jobs online. You will have to apply at your local store. If you would like to know how to apply for Shoe Show online, go to their website. You won’t be able to browse Shoe Show jobs online or get a printable application form at the site, but you can find local stores and get applications by contacting them directly. Another way to take advantage of the free application process is to apply online by sending a cover letter and your resume to the corporate office through their contact link. In-store positions will require an application form from you, so you will have to visit your local store if you want one of those jobs. 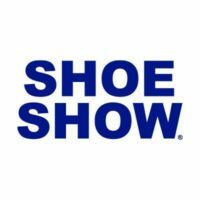 If you want to apply for jobs at Shoe Show, you can use the website below to get information about the company and find store locations, but there is no online application available from them. You will need to dress nicely and pay a visit to your local branch to fill out an application form.